Oh, how I wish the weather was like this at the moment! SRSLY, WHERE is the Summer this year?! Which is a shame as I think this is pretty awesome. Let me introduce you to this printed co-ord from Monki. I own a few bits from the brand but have never been into one of their stores before. Luckily, when I stumbled across one of their shops in Amsterdam, they had a sale on. So I managed to pick up this tropical co-ord for a grand total of 14 Euros!! Wow! The set is made from a lightweight, jersey material and the bandeau top made it perfect for a hot, sunny day. I love the floaty, patterned culottes as they are really comfortable and have an elasticated waistband. I would happily add some chunky heels with this and a statement necklace for a night out. 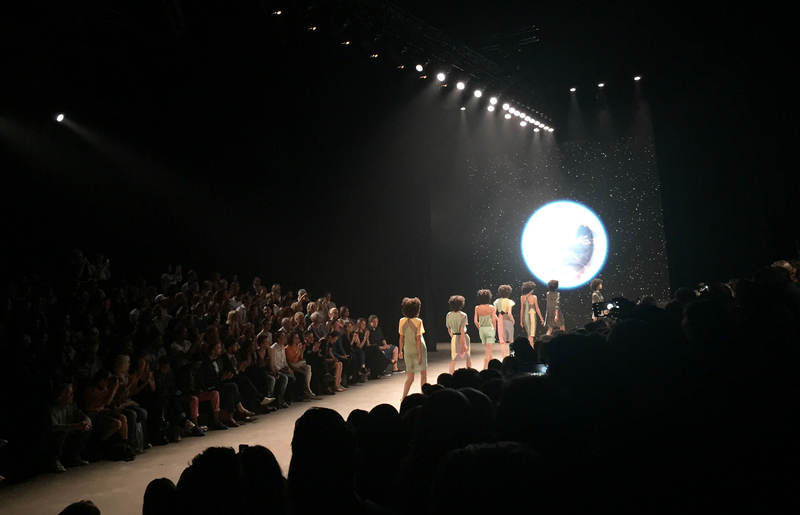 Have you heard of Monki before? Hope you like my co-ord! 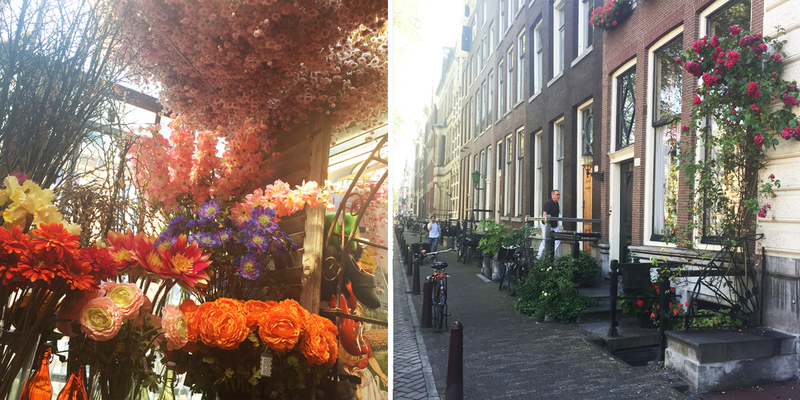 The weather in Amsterdam was gorgeous whilst we were there, so it was really nice to take a Summery wardrobe away with me! Plus it gave me a great excuse to style up one of the hot, NEW vests from our Rock On Ruby collaboration with Dom and Ink! Literally just launched this week, the range is full of unique, quirky designs that only the legendary Dom could create. From Sassy slogans to the magical Unicat (a must see) the collaboration brings together both styles of ROR and Dom, which is really cool!!! So how did I style up my vest? I chose the On Point vest - The ladies slouch style top is perfect for wearing with high waisted shorts or jeans etc... These Pom Pom shorts are from ASOS, forever ago, but they are a brilliant item for dressing up or down. The look was finished off with a pair of metallic sandals from Zara. I love metallic shoes as I think they just add a little something extra to your look! The low heel on these was great for smartening up my outfit but sill allowing me to walk around town. And finally, I am currently obsessing over this statement cuff from Reiss (via Fashionchick) it's so glam! Ok, I have to admit... I think I have a serious problem with shoes. I'm literally a Shoe-A-holic. 1. Espadrilles are your BFF. This comfortable yet stylish shoe, has been given an extra fashionable flair with glitter, metallic finishes and crocodile print. Not just reserved for the beach, espadrilles will see you all through Summer! 2. Gladiator sandals are where it's at. Yep, "Glads" are hot every year, but if you want to make a style statement... Lace them up! The higher up the leg the more on trend. Perfect with floaty boho dresses or denim shorts. 3. Court shoes are still a Summer shoe. Just because they cover your toes doesn't mean you can't wear them in Summer! Sacha shoes had a range of lovely "nautical" striped shoes and pastel blue hues which are fab on a Summers eve! Which shoes are your fave? 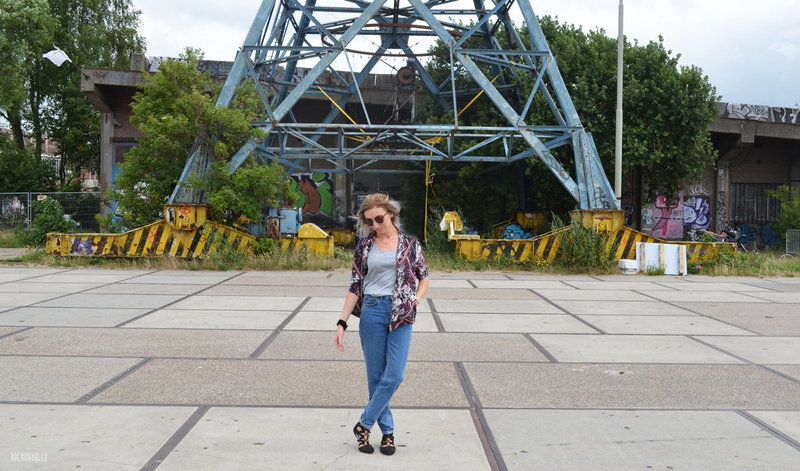 Along with UK blogger Lucia (from Style Confessional) we were also teamed up with two super stylish bloggers from the German Fashionchick network: Marie from Glitter Everywhere and Jasmin from My Berlin Fashion. The FC guys had scheduled some really cool events for us over the weekend, but first stop after our flights was to check out our pad for the weekend. 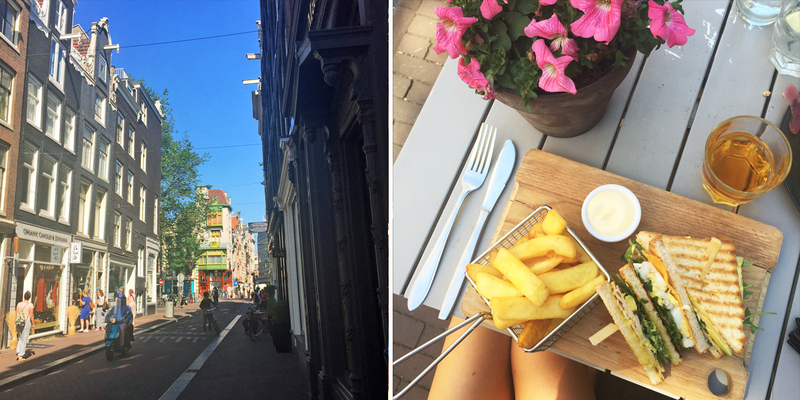 This turned out to be the most instagram-worthy duplex right in the centre of Amsterdam's trendy Noordmarkt. (Have a peek at Marie's post on the apartment where we stayed!) This area was so beautiful, and really to close lots of cafes, picturesque canals and little boutique shops! Travel Tip: Every Saturday there is a farmers market, which was pretty much right outside our door - it was full of yummy, fresh food, drinks and clothes. I would highly recommend!! After a nice chill out morning, blogger duties called and we headed off for an amazing Shopping Experience with Sacha Shoes - check back on Friday to read more on that!! 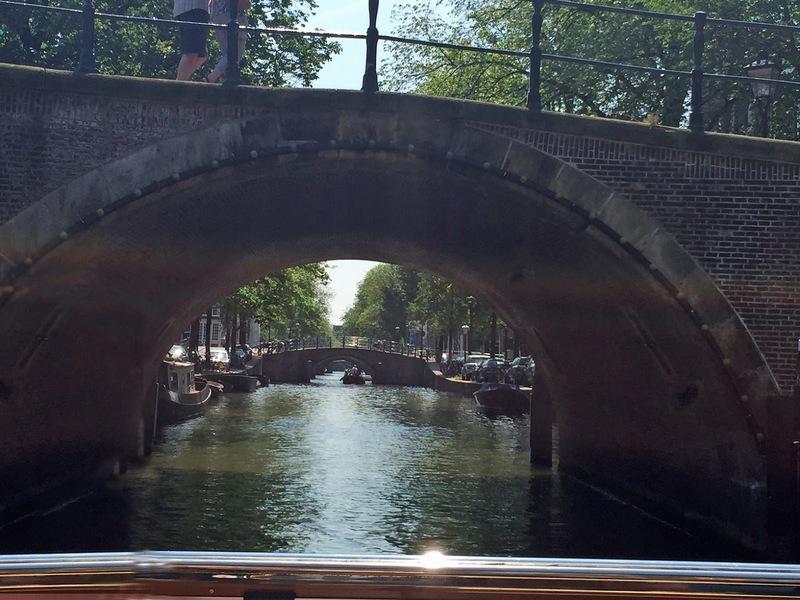 Travel Tip: If you're planning on heading to Amsterdam soon, I would recommend taking a boat trip around the city as it's a great way to see the sights - without wearing out your feet! 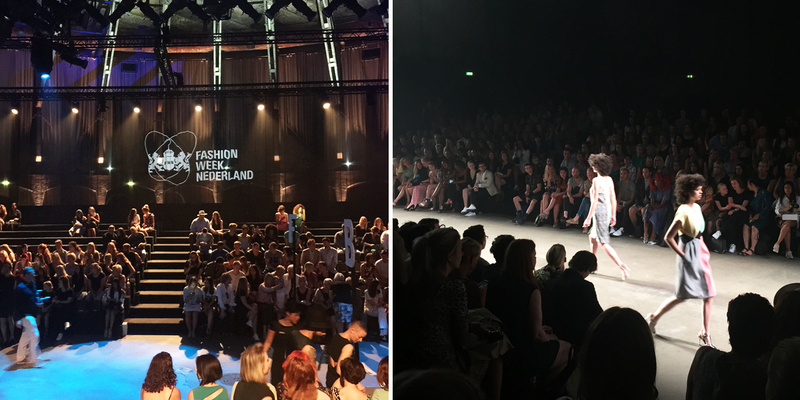 However, the main reason that we were there was of course to attend Amsterdam Fashion Week! Fashionchick organised for us to see the Spijkers en Spijkers show on the Saturday evening. It was brilliant. I wasn't that familiar with the brand before, but their clothes were GORGE and featured a wide range of style and prints - which slightly reminded me of Henry Holland in a way? Very cool. I want them all. 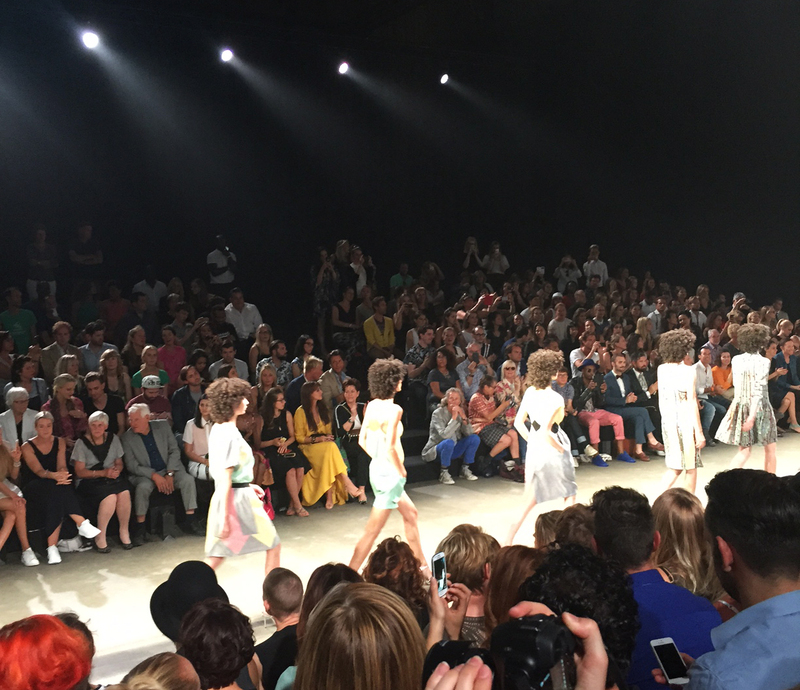 After the fashion show we were whisked off to an exclusive After Party in Dam Square. It was an incredible evening and we posed our hearts out in VIP! 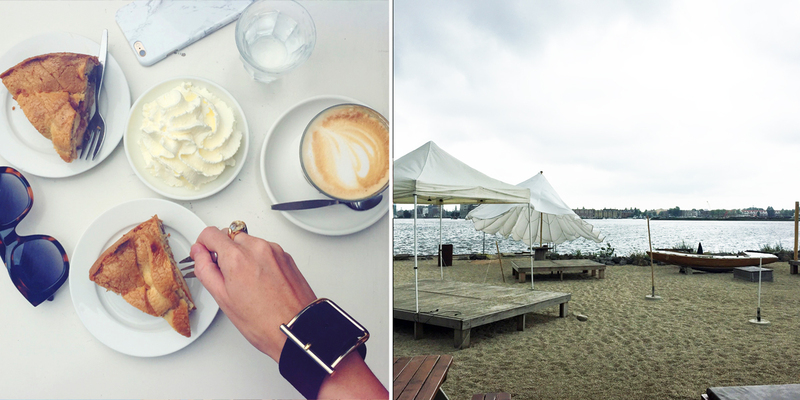 On our last day, team Fashionchick took us for brunch at a place called Plek. Although, just a short ferry ride away, the other side of the river was really industrial and made for more amazing blog locations! Travel Tip: Another spot I would highly recommend for their quirky, warehouse vibes, amazing food and cool views over the river Ij. Despite being slightly hungover, we couldn't leave without tasting the most-raved about Apple Pie in Amsterdam... Winkel 43! Oh. My. God. I would book a flight back to Amsterdam just for that pie. 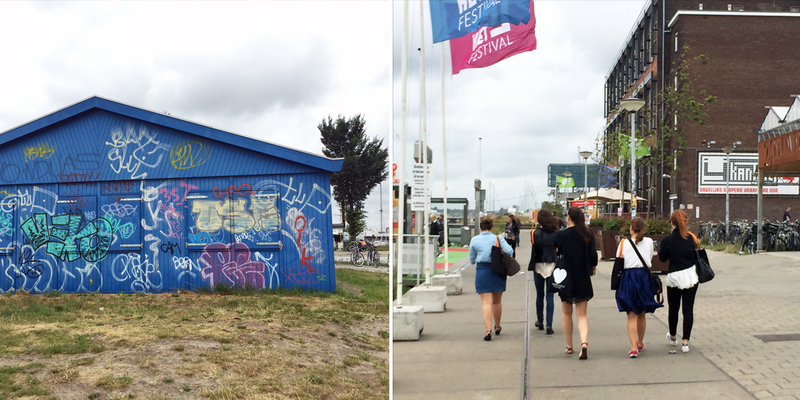 I hope you've enjoyed my round up of our time in Amsterdam! It was such an amazing experience, and I was very lucky to do it with such a nice group of girls - special thanks to Lucia for being my FCBN blogger buddy! And HUGE thanks to Fashionchick for making it possible! 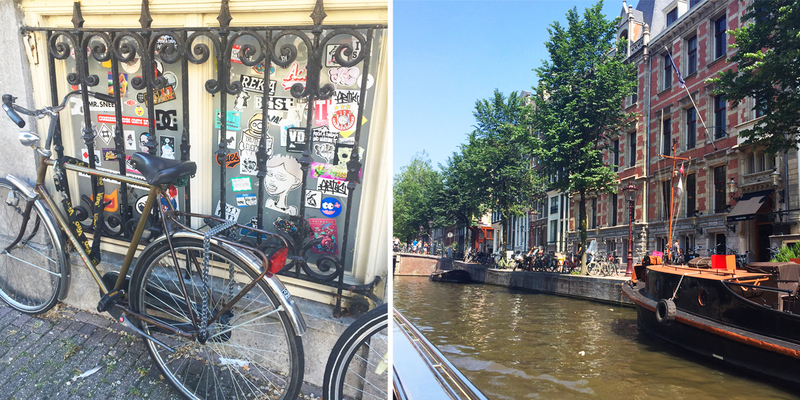 Have you been to Amsterdam before? If you're going soon, let me know and drop any questions in the comments below! 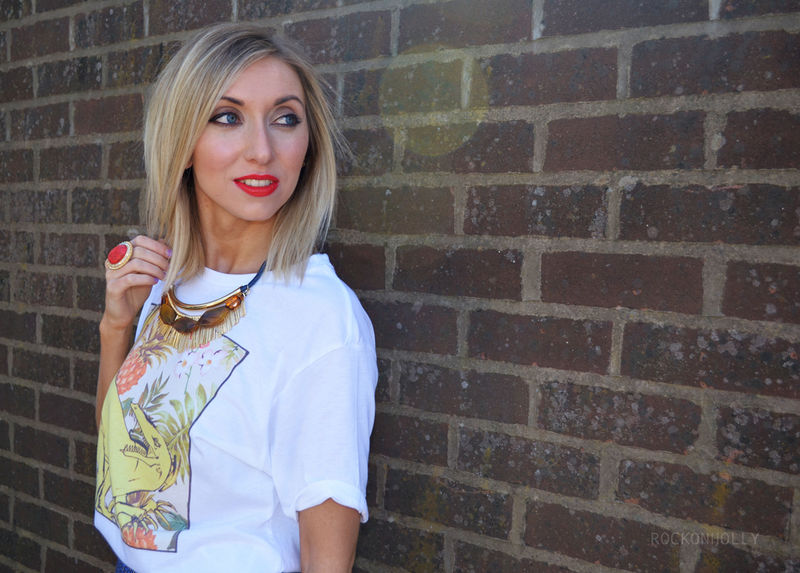 So, you may remember that I blogged a while ago about my Pineapple and Prints OOTD featuring a super cool tee with Dom and Ink designs?! Well, I actually got two.... Yup, whereas my original design didn't print properly (sad times) my sister did the complete opposite and somehow ended up ordering two!? So, lucky me got one of her tops too and this one is FIERCE. If you haven't been to see Jurassic World yet (why not????) then you should totally go check it out. It's AMAZING! My mum and I actually screamed out loud at one point (totally embarrassing). But ever since watching it I have become a little dino-obsessed. Would you wear a Dino tee?! If not, let me know what you'd love to see on a top! 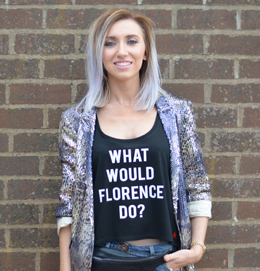 OOTD: What Would Florence Do?